Finding the best monitor, mouse, keyboard and headset for CS:GO can be overwhelming and difficult. Companies like BenQ, Zowie, ASUS, and Razer are working hard on creating the best gear possible but there is still a jungle of options out there. That’s why we have analyzed the gaming gear of professional CS:GO players to find the most frequently used monitor, mouse, keyboard and headset. To analyze these numbers, we have been using our CS:GO Pro Settings and Gear List which you can find here. What’s the best monitor for CS:GO? One of the most important pieces of equipment that will raise your performance in CS:GO is a 144Hz monitor. Counter Strike is a game where every seemingly little advantage goes a long way. We need to react as quickly and as precisely as possible. That’s why every single one of our analyzed professionals is using a monitor that’s capable of displaying 144 frames per second, with 70 percent of our analyzed professionals using 240Hz monitors. Some other factors that might be relevant for choosing the perfect gaming monitor are supported resolution and input lag. As we can see on our Pro Settings and Gear List there are only a handful of pro players that use resolutions above 1080p. So a 1440p or 4K monitor is currently not necessary. In terms of input lag, most commonly used monitors are below the amount of 10ms. 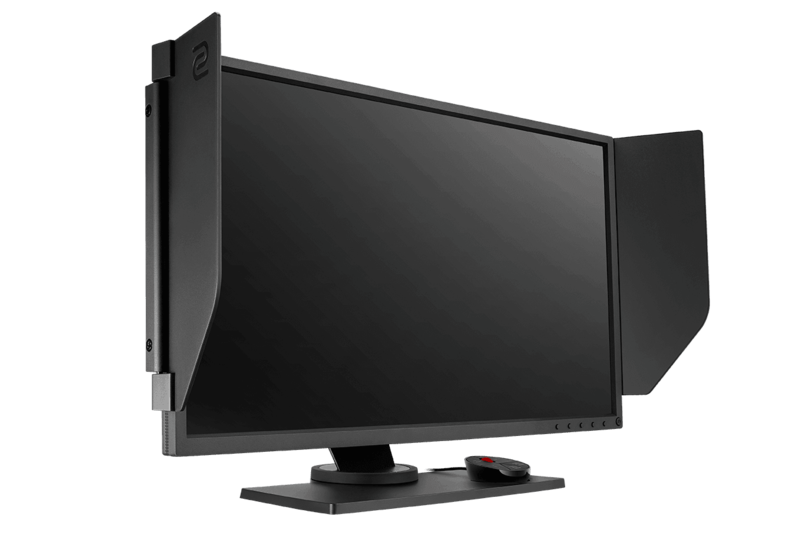 The most used monitors are without a doubt the BenQ XL25xx Series and – in terms of the amount of pros using it – far ahead of its competition. The BenQ XL2411Z was the de facto ‘standard’ monitor in the CS:GO scene for a long time, but professionals have been moving away from the 144Hz standard and moving towards monitors capable of displaying 240 frames per minute. We (along with the pros) recommend BenQ Zowie’s more recent product, the BenQ XL2546. It offers a 240Hz refresh rate and boasts a number of other impressive features which will improve your gameplay. Click here for our review of the XL2546. The old, trustworthy XL2144 is still the third most used monitor, but about 70% of professional CSGO players now use the (far superior) XL25XX series of monitors. These are expensive products though, and if you’re on a budget (or your system can’t push enough frames) the XL2411 is still a very capable and reliable monitor for CS:GO, and 144Hz is still infinitely better than a standard 60Hz monitor. Taking a look at the charts on the right we can see that BenQ is by far the favorite monitor manufacturer of the professionals. But what is it that makes the monitors they use better than a generic monitor? The biggest factor for competitive performance in a monitor the refresh rate. Compared to the 60Hz of a regular office monitor, the 144/240Hz monitors listed here can make a world of difference. 144Hz means that the monitor refreshes the picture on your screen 144 times a second, while 60Hz monitors only refresh (you guessed it) 60 times a second. This means that the action on your screen is way more fluent, along with an extra smooth feel when using your mouse. There isn’t a single professional CS:GO player that isn’t using a 144Hz monitor, with most even using a 240Hz monitor nowadays. ASUS also produce a ton of gaming grade monitors, with the ASUS VG248QE being a longtime fan and pro player favorite 144Hz monitor (along with the BenQ XL2411). These monitors have fallen out of favor with the pros though. It is, after all, their job to be the best they can be at the game, which includes buying or using the latest and greatest gear. Throughout the many iterations of this article we’ve been noticing more and more professionals switching to BenQ Zowie, to the point where other brands have become almost irrelevant in the professional CS:GO scene. What’s the best mouse for CS:GO? Similarly to choosing a monitor, choosing the best mouse for CS:GO can seriously elevate your game. There are a lot of perfectly valid options on the market regarding mice though. Choosing the best gaming mouse seems to be a much more personal endeavour since shape and weight preferences vary from player to player. The most common choice is a mouse that we personally recommend as well: The Zowie EC2-A. There are a lot of small things that separate a good mouse from a bad mouse. The most important factor of all is the sensor. A mouse with a flawless sensor translates the information directly from the surface through the mouse to your computer, without using any prediction or smoothing algorithms that can interfere with the information being sent. Not all professionals use flawless mice, so it’s best to test some out for yourself before buying. Taking a look at the most used mice on the right we can see that there are many viable options available to you. All of these mice are fantastic gaming mice in their own right, but offer many different qualities and features. It’s always good to see what mice the pros are using, but you should ideally test the shape of a certain mouse before ordering if you’re not sure what kind of shape or features you like. Your hand size or shape might be vastly different than the hands of the pros, so don’t blindly follow whatever your favorite pro is using. We’ve got an entire review section where we review all sorts of gear, so do make sure to visit that to get a better perspective at what all these different mice have to offer. Zowie mice have been developed from the ground up for CS:GO so it makes sense they’re featured so heavily in the world or professional CS:GO. We can wholeheartedly recommend every mouse on this list, but if you want a bit more info on the top five most used mice you can always check out our best mouse for CS:GO guide. Either way, as you can see the Zowie EC2-A is a great choice for average sized hands and all sorts of grip types, as one fifth of all professionals is currently using this particular mouse, and a whopping 41 percent of pros use an EC series mouse overall, making it by far the most liked shape and mouse series of the CS:GO pros. We also recommend the Zowie G-SR mousepad to get that buttery smooth gaming experience. 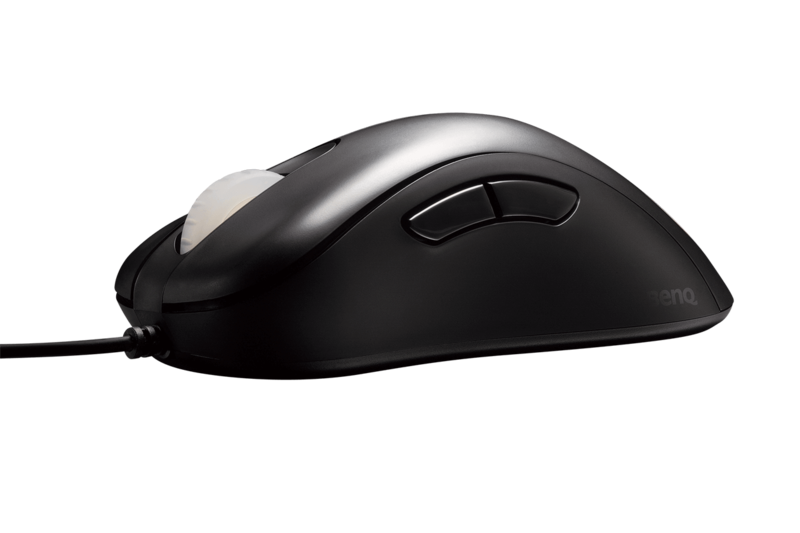 Check out our Zowie EC2-A Review and our EC2-B review get an even more in depth view of these mice. On the right you can see that Zowie is far ahead of its competitors. It’s no wonder, since their mice have been co-designed with some absolute legends of the game; the EC series is co-developed with and named after Emil “HeatoN” Christensen and the FK series was designed in tandem with Filip “NEO” Kubski, for example. One of the most commonly heard advantages of Zowie mice is that they are plug & play, which means that you won’t need to install drivers to use them, which of course is ridiculously handy for pro players who are constantly traveling around the world. Combine that with the fact that they’re literally designed by legendary CS players and you can imagine why they’re so loved in this community. Zowie’s biggest contender is Logitech, who have been producing quality mice for years now, as we all know. CS:GO players seem to have taken a liking to their wireless tech in particular, with the newly released G Pro Wireless taking the second spot in the most used mice list in the relatively short time that it’s been out. Razer and Steelseries round out the top four of most used mice, which isn’t a big surprise either; both brands have been known for their gaming peripherals for years now, and they’re both very good at what they do. What’s the best keyboard for CS:GO? All professionals use mechanical keyboards. Mechanical keyboards offer many advantages that justify their steep purchasing price. They have a very long lifespan (between 30 and 70 million keystrokes, depending on the manufacturer), offer a pleasant tactile feedback and have features such as anti-ghosting to make sure every key you press is being registered. Getting a mechanical keyboard also gives you a wide array of switch options to choose from, which isn’t the case with regular membrane boards. If you like a clickier, heavier keypress you can get that. If you prefer a lighter touch it’s also perfectly possible to get that. No one is saying that getting a mechanical keyboard is going to make you Global Elite, but they do drastically increase playing comfort and give you yet another option to personalize your gaming setup because of all the different switches and technologies out there. The HyperX Alloy FPS seems to live up to its name that it’s perfect for FPS games such as CS:GO, as it’s currently the most used keyboard by CS:GO professionals. It makes sense too. It’s got a very solid build quality, compact design, and it’s available with Cherry MX Blue, Red, or Brown keyswitches so there’s plenty of options out there for everyone. Since CS:GO doesn’t require anything more than a basic keyboard layout the small design and portability of the board make it a great choice for players who travel often, such as the CS:GO pros. 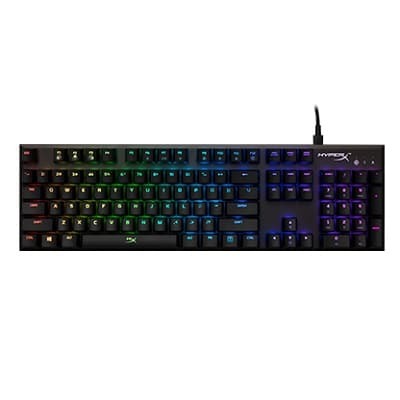 Since it doesn’t have any added features such as extra macro buttons or media keys (which are all super useful for home use, but are completely unnecessary when you’re playing professional CS:GO all over the world) the price is also relatively low for a mechanical keyboard, making this whole deal a super attractive package. Here we don’t really see a massive divide between brands and models as we do when it comes to monitors and mice. HyperX, Razer, Steelseries, and Xtrfy all produce quality gaming keyboards, and with such a large variety of keyboards out there it’s not a real surprise that there isn’t any super clear winner. As always we suggest that you do your own research and try to find out what you are looking for in your gear, and that goes doubly so for keyboards, though these boards are obviously great places to start when it comes to CS:GO. What’s the best headset for CS:GO? High quality headphones combined with an external microphone are probably the best audio solution. Assembling this, however, can be quite cumbersome and tedious at times. Mostly because you have to worry about twice the amount of cables. Most players therefore opt to use a headset (as in a combo solution of headphones and a microphone). It’s much easier to take with you on the road and for gaming purposes the quality of your microphone isn’t all that important anyway. All of these headset solutions are perfectly fine in their microphone audio. Lots of players are just looking for a comfortable headset with clear and precise sound quality. The HyperX Cloud series has been known since its inception to be one of the better gaming headsets around, definitely when it comes to value for money. It’s no surprise that the Cloud II is, by a rather large margin, the most used headset by the pros. It offers premium build quality, great sound, an a super decent microphone at a very attractive price package. The second most used headset is the Sennheiser GAME Zero. This one is far more expensive than the HyperX options, but it does sound amazing and rocks a stellar microphone, so if you’re after the best sound and mic quality in the business it could be wise to look towards Sennheiser. Sound is super important in CS:GO, and the pros obviously know that. HyperX and Sennheiser are both known to produce quality gaming headsets with decent to good microphones and, most importantly, great sound quality. HyperX rules the park though, with almost half of all professionals opting to use one of their sets. SteelSeries is third on the list, and with them expanding their product lineup with more premium headsets we might see them rise a few percentage point over the coming months. Like every hobby, playing games competitively and at the highest levels can be expensive. At least choosing the best monitor, mouse, mousepad, keyboard and headset is a little bit easier now. Our recommendations change constantly so please feel free to check them regularly. Thanks for reading.